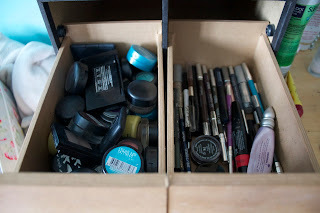 Make up storage posts are possibly my favourite kind of posts. Maybe it's because I'm nosey, or maybe it's because I like good storage. Muji is one of my favourite shops. I'm moving to London very very soon. Technically I'm there right now, but none of my stuff is. 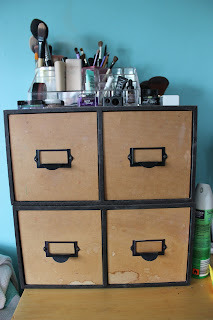 Anyway, I thought I'd show you my current make up storage set up. Then I can show off the new storage set up I have planned. I've literally been planning this storage for months, which is probably quite pathetic of me but oh well! At my parent's house I have a chest of drawers and on top of them sits my light up mirror, and my make up storage drawers. These are in fact old CD storage drawers, back from ye old days when people actually bought CDs. This set up is far from perfect, and I can't wait to get it all properly organised. 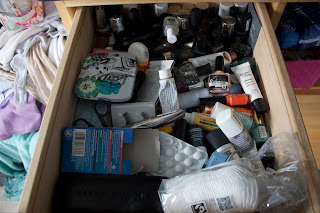 On top in the left hand side drawer I keep face products. In here is all of my foundations, blush, concealer, powder and bronzer. This is the drawer I probably empty out the most looking for things, it drives me crazy. It looks a bit sparse in these pictures, because I have some things packed to bring to London with me. On the right hand side I have lip products. Lipsticks, balms and glosses. On the bottom left I have single eyeshadows, so things from MAC, my NARS duos, and various other eyeshadows. On the bottom right I have eyeliners and mascaras and eyebrow things. On top of the CD boxes I keep my brushes. 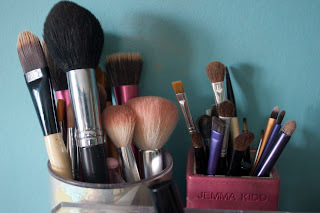 In the Tinkerbelle pencil holder I have my face brushes. 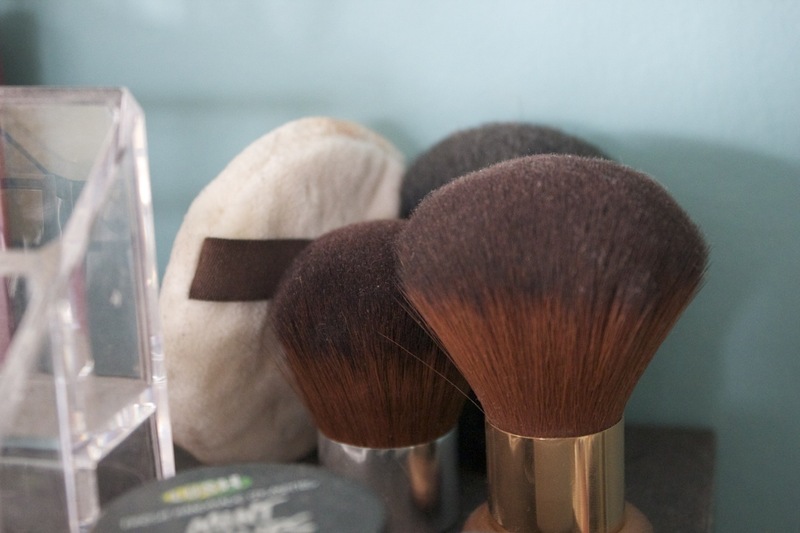 I love this holder because it spins round! In the other pot are my eye brushes. I also have this make up storage thing which was a Christmas present. 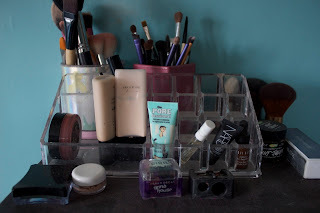 In here I keep my most used things, so my top two foundations and my under-eye concealer. I'm not sure if I'm going to keep this storage thing. 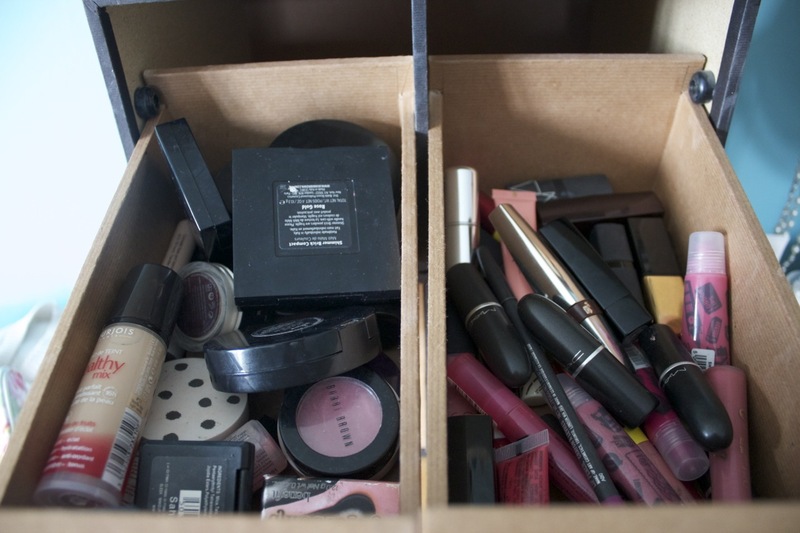 It has loads of room for lipsticks, and not much room for anything else. I also have a bunch of kabuki brushes up here too. There are also some sharpeners, and some other random bits and bobs. Like a loose Illamasqua pigment which leaked all over the inside of a drawer. 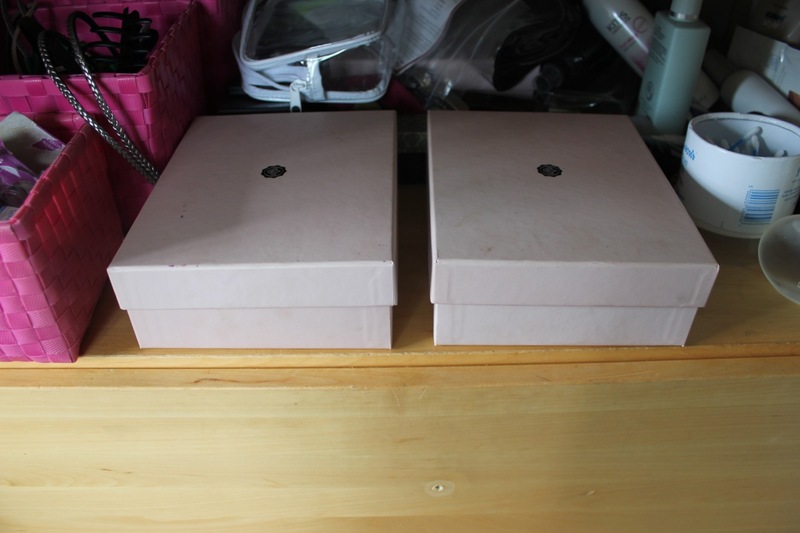 In the little cubby hole of my chest of drawers I keep a whole load of stuff, but in these two old glossy boxes are all my eyeshadow pallets. I'm going to depot a lot of these and get rid of the ones I don't use and all the bulky packaging. And then there is the drawer of doom. I hate this drawer. It's so unorganised. It has all sorts of stuff in it. And every time I try to tidy it up I can then never find anything and it all gets shoved around anyway. Never again will I be this unorganised!! Soon, I hope, I'll be able to show you my new super organised, super tidy storage set up. i have visited this blog a couple of times now and i have Alpha ZXT to tell you that i find it quite nice actually. continue doing what youre doing! :pThis website online can be a walk-by for all of the info you needed about this and didn't know who to ask. Glimpse right here, and also you'll undoubtedly discover it. Thanks pertaining to discussing this specific excellent written content on your site. I came across it on the search engines.